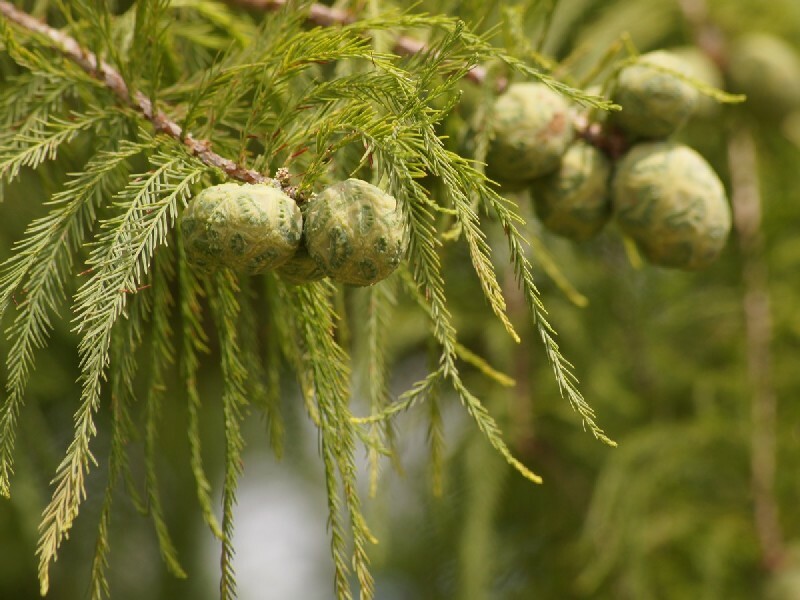 Bald Cypress is a very tough tree with the unique characteristic of being a deciduous conifer. 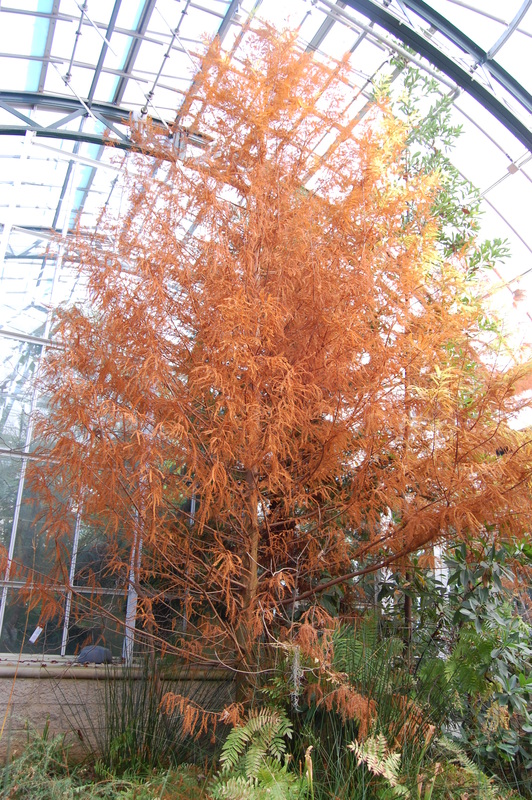 This quality results in a striking winter form. 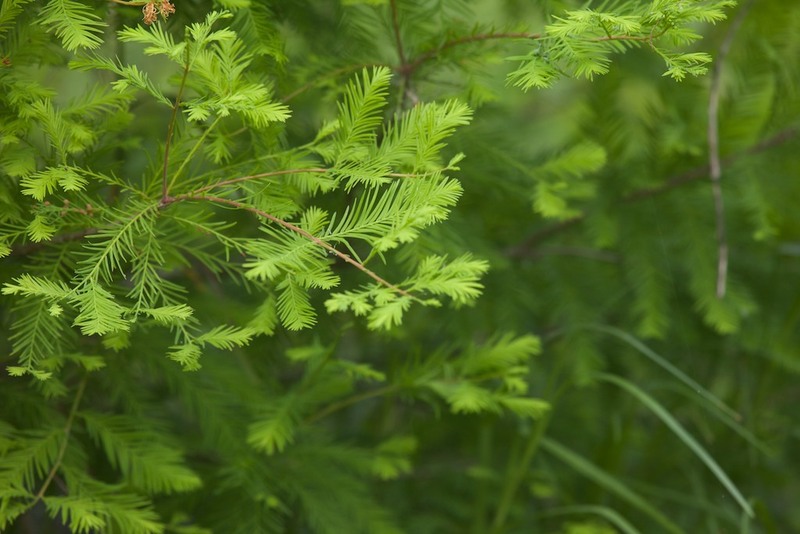 Bald Cypress can tolerate a variety of soil conditions and is well at home in moist or dry soils. 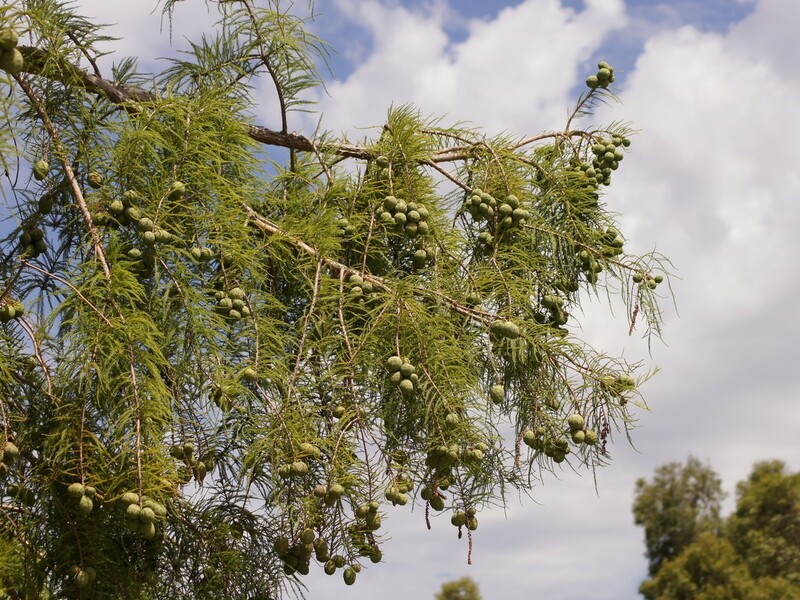 Cultivated trees may attain a size of 100 feet tall with a broad conical shape. Trees have shaggy cinnamon bark and sprays of flat needle-like green leaves that turn an orange-toned brown before dropping each year. 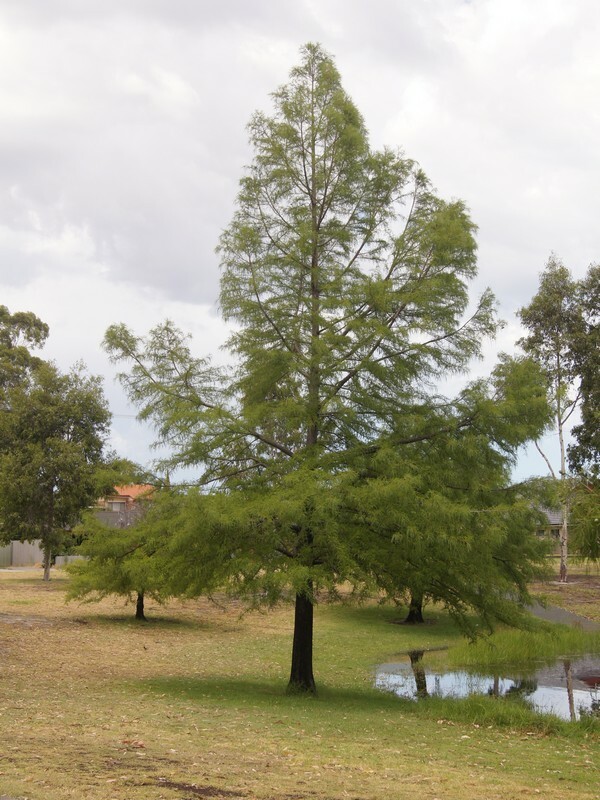 Its tolerance of soil saturation makes this tree very well suited for water side planting.